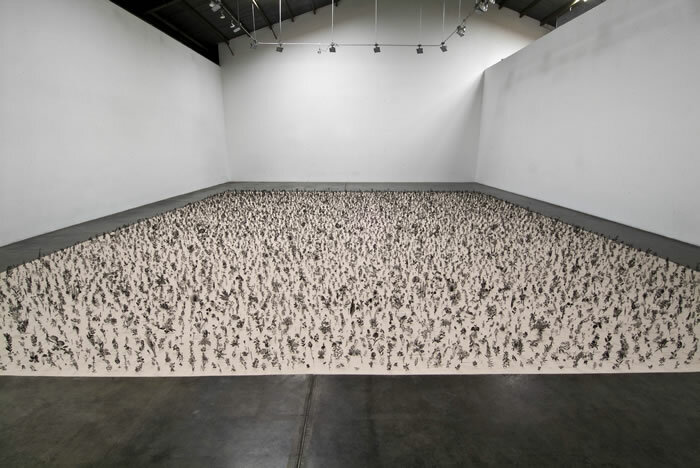 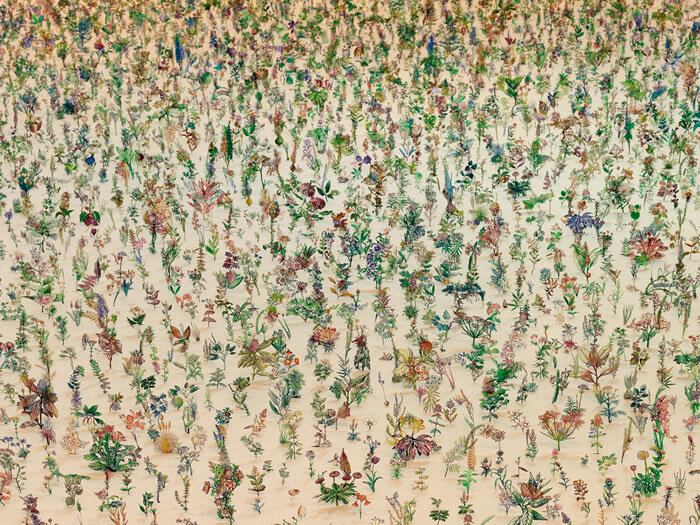 Zadok Ben-David's installation Blackfield consists of a staggering 12,000 steel-cut flowers. 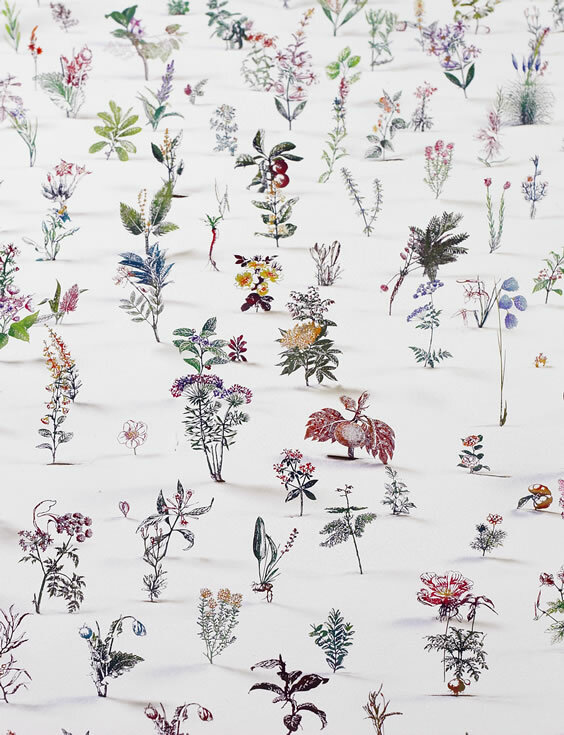 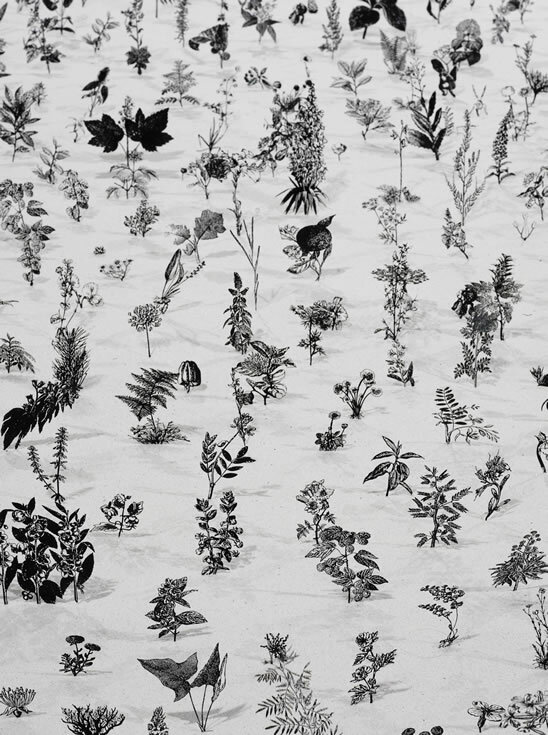 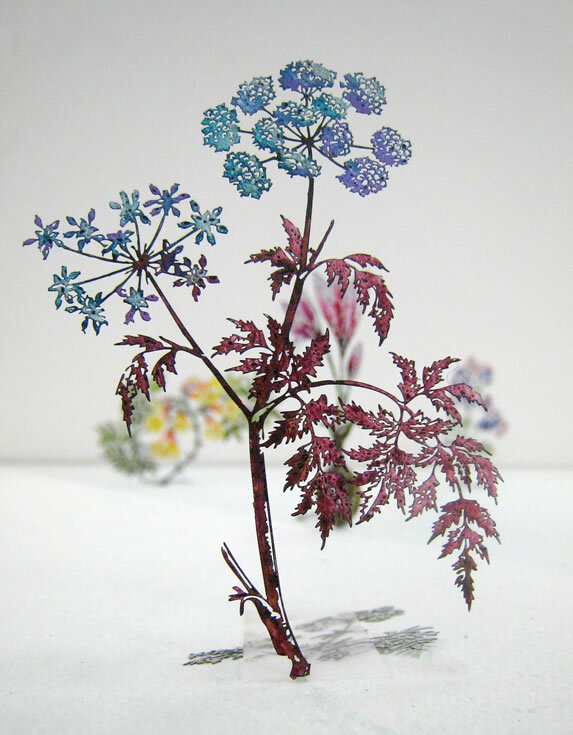 The sculptures, inspired by botanical illustrations, are hand painted and set in sand. 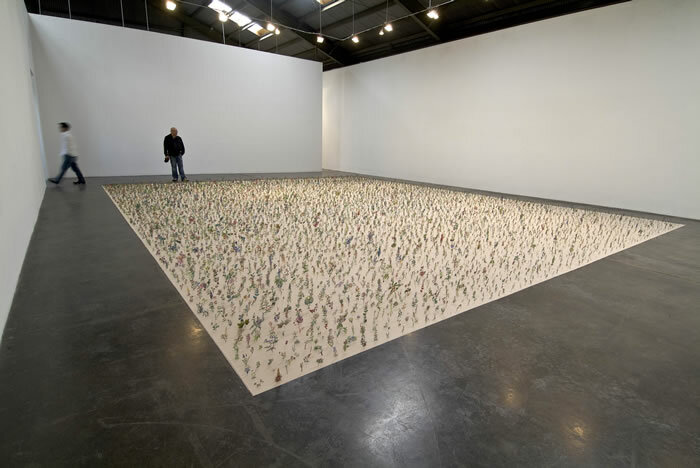 When approaching the installation and viewed from one side, a field of black dominates, but while moving towards the opposite side a full technicolour display emerges.